Welcome To Work Zone Traffic Control & Maintenance In Alaska! 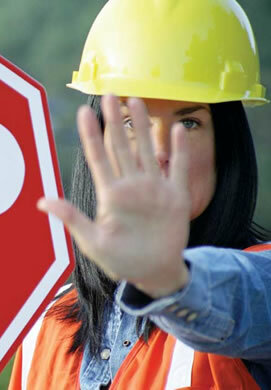 Work Zone Traffic Control & Maintenance is an Alaskan company; owned and powered by women. Our company provides complete traffic control services, including software generated Traffic Control Plans, Equipment Rental, Pilot Car Operations, Flaggers and Traffic Control Supervisors. . Work Zone Traffic Control & Maintenance is licensed, insured and DBE Certified. In addition to our traffic control services, Work Zone Traffic Control & Maintenance also offers Flagging and CPR training/certification programs. Our expert Instructors, Traffic Control Supervisors, Flaggers and TCP specialist have first-hand experience in the work field. Training and on-site job performance provided is second to none in the industry with real life knowledge and expertise! © 2014 by The Alaska Flaggers. No motorists were harmed in the creation of this site.